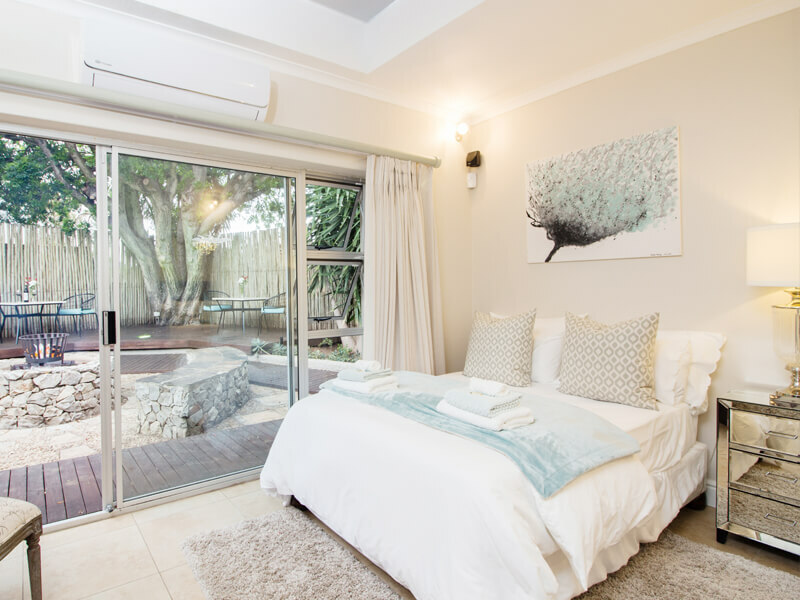 The Luxury Queen Unit has 2 sliding doors onto private patios with a garden view and access to lapa area. This room sleeps 4 adults and 2 children between ages 12 and 16. 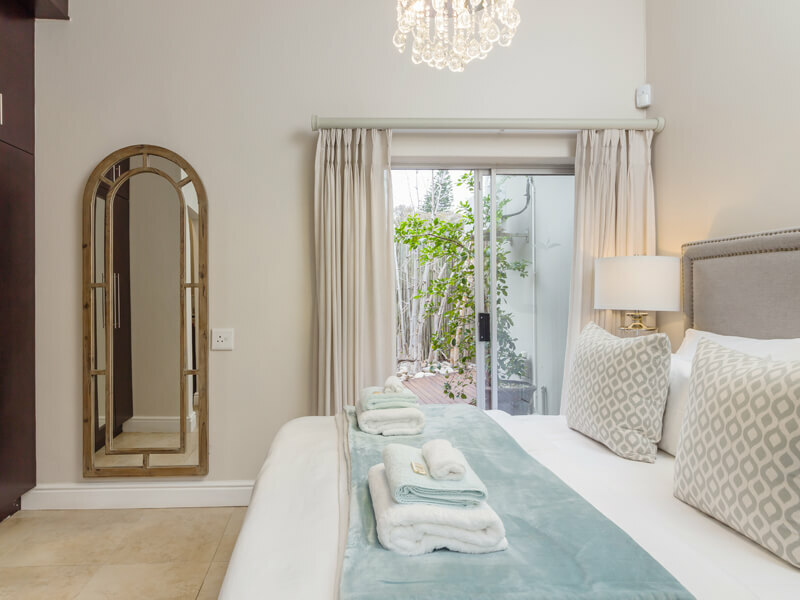 Fitted with Two extra length queen-size bed with 400 thread count Egyptian cotton linen. 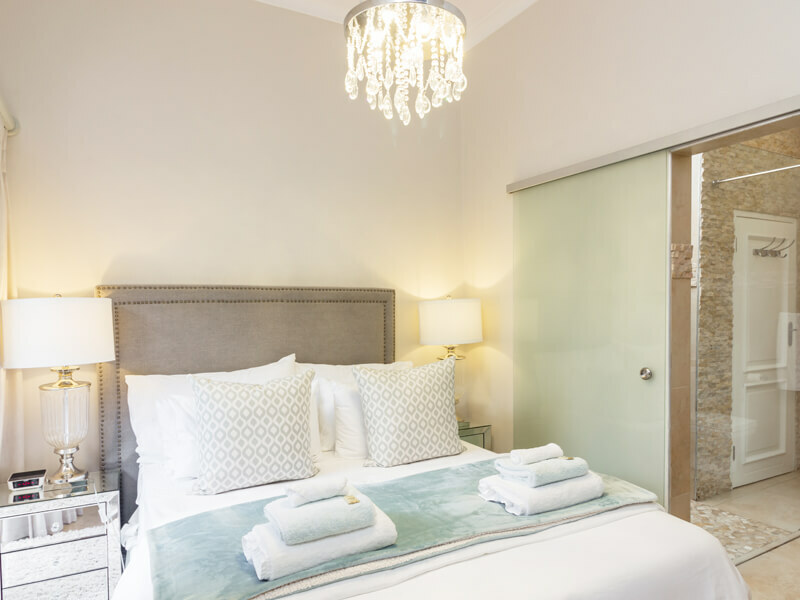 This spacious open-plan unit has a kitchenette with cupboard space & a flat screen TV. 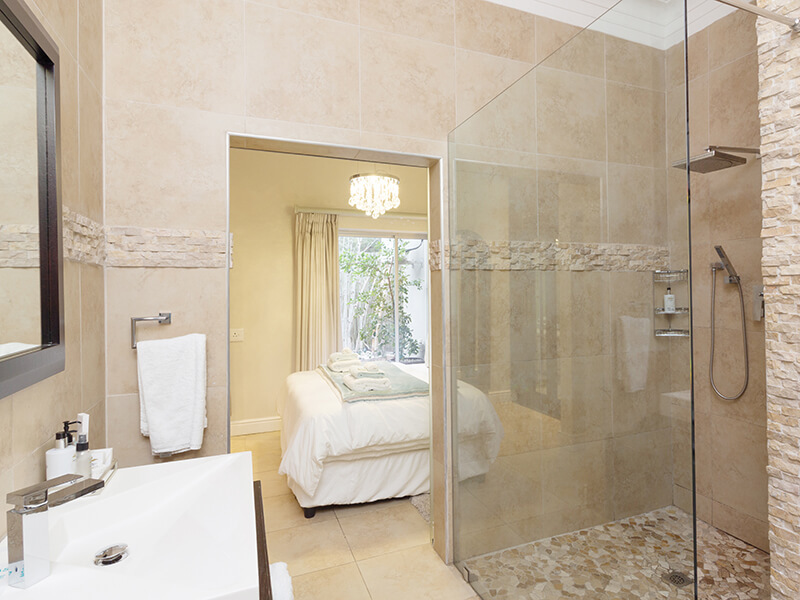 The en-suite bathroom has a large walk-in shower, toilet & vanity.